Since it was first published in 1981, The World of the Ancient Maya has established itself as an extraordinarily accomplished -- comprehensive, elegantly written, and concise -- introduction to the rich Maya culture. In this edition, John S. Henderson has thoroughly revised the text and added a wealth of new photographs and drawings. Henderson explores the entire Maya cultural tradition, from the earliest traces of settlement through the period of the Spanish conquest in the sixteenth century. 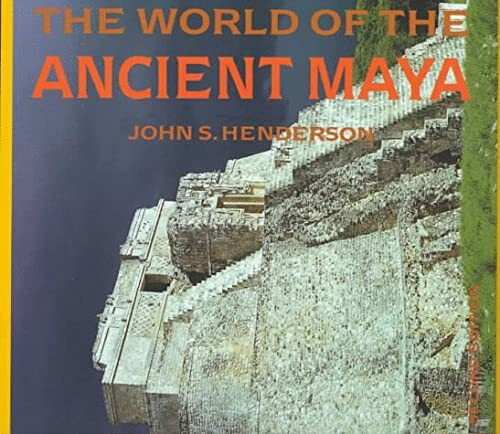 The ancient Mayas were the only fully literate precolumbian people in the Americas, and Henderson incorporates deciphered Maya texts in his reconstruction of ancient Maya societies. Superb scientists, the Mayas developed a very sophisticated mathematics and an intricate and accurate calendar system. Theirs was one of the few complex societies to emerge in and to adapt successfully to a tropical forest environment. Their architecture, sculpture, and painting were sophisticated and compellingly beautiful. Henderson's wide-ranging and judiciously balanced account treats diverse aspects of the Maya world, including religion and philosophy, the environments of the various Maya peoples, and their links with neighbors and relatives in the area. Throughout, he considers the interaction among Maya societies and stresses the importance of the cultural variations from region to region, as well as the common Maya heritage.